As Egyptrixx, Toronto-based electronic producer David Psutka delivers a scattered soundscape of abrasive, industrial samples. However, on a large stage in the middle of the afternoon, his contorted, reverb-heavy tracks felt empty and ill-fitting. While Egyptrixx's tracks cultivate a dark, disorienting atmosphere, any cultivation of such a mood was undone by the broad daylight. Huddled behind his setup without so much as uttering a "hello" to the sparse crowd, Psutka's tracks did little to energize the scattered crowd. As the cacophonous shuffle on "Transfer of Energy [Feelings of Power]," the title track from his latest LP, gave way to rounds of blast beats, it seemed as if the set had been given a much-needed jolt, but instead they marked an abrupt end just 30 minutes in. 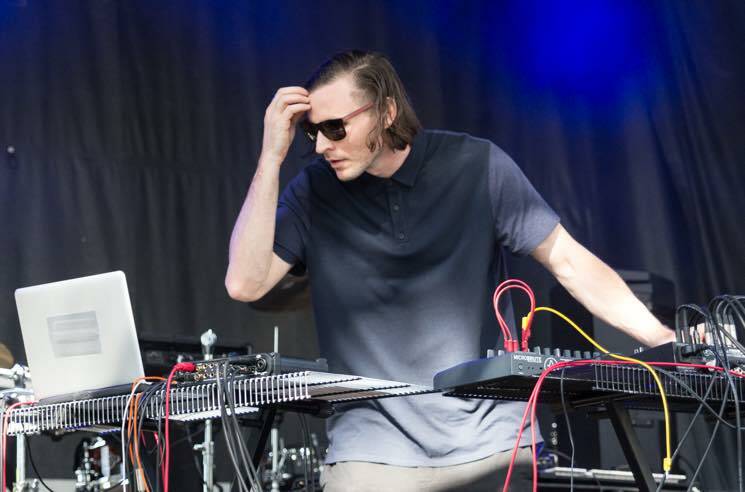 It wasn't the right situation for Egyptrixx, but Psutka didn't make much effort to make the best of it.